There was a time when to be from Consett was to be almost a celebrity. Catapulted into the media spotlight – photographed and interviewed by every kind of journalist, analysed by economists and sociologists, the subject of television documentaries and academic studies. Now the vast steelworks site, grassed over and landscaped, awaits council inspiration. Of the proposed schemes, which have included a Category A prison, the most bizarre has been a tourist park for the elderly entitled “The Coming Of Age”. 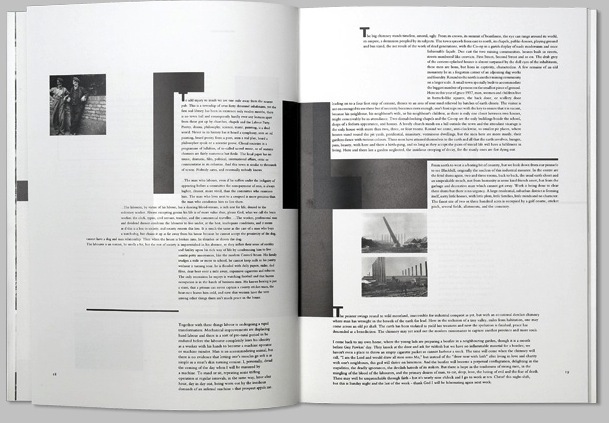 The above description originates from the book, Steel Works: Consett, From Steel to Tortilla Chips, published in 1989 to accompany the exhibition of the same title. 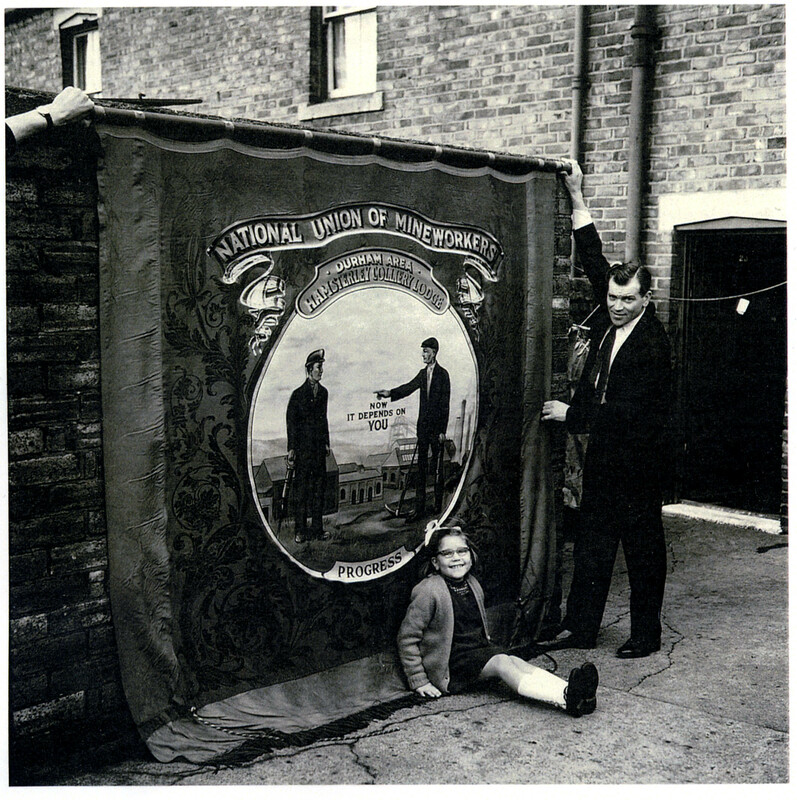 Funded and presented by the Side Gallery in Newcastle, the project, by the English-born photographer Julian Germain, was a study of Consett in the North of England – ‘a town invented by four well-to-do gentlemen of Tyneside because of accessible mineral resources’27, becoming home to the largest opencast mine and steelworks in Britain. With its closure in the 1980s and the subsequent transformation of the site, the steelworks were completely dismantled involving the largest demolition project ever witnessed in Europe. Germain employed diverse strategies of representation of the town and its community in order to re-present and re-assert, a sense and semblance of this once vibrant community. 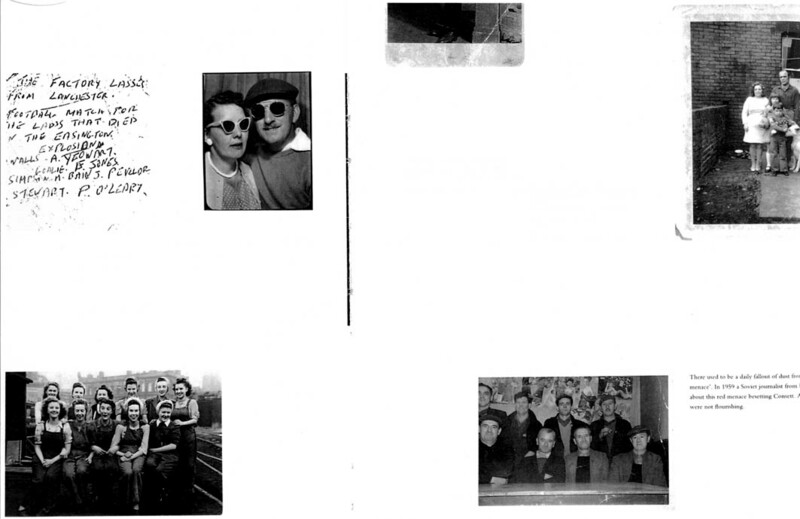 A page from Steel Works (above) is open to reveal a two-page, collage-like spread: a holiday photo-booth with a couple bedecked in sunglasses, the family and the family dog in the parent’s backgarden, groups of workers standing and sitting for the photographer, a smoke break, a tea break, and small samples of texts, ‘the factory lassies from Lancaster’ including ‘P. O’Leary’. The images appear haphazardly in display and somehow ‘speak’ to, of and about each other. A sense of a living community is portrayed. However, all are black and white and the clothes look ‘different’. It is not now. Germain presents individual testimony, anecdotes and interviews alongside his use of visual materials (above). We are invited to partake in familial memory by recourse to personal archives and family albums. 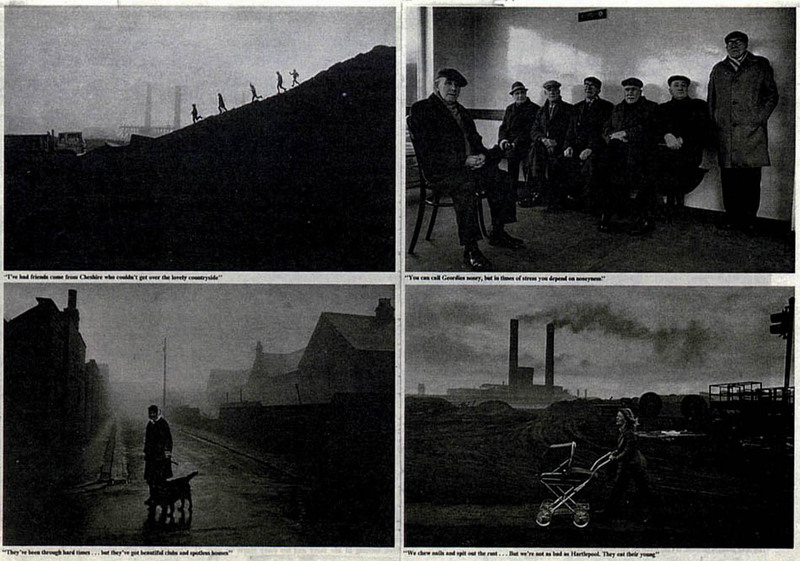 Displayed alongside, are images by Don McCullin, made for the UK newspaper, The Sunday Times in the 1960s (below). 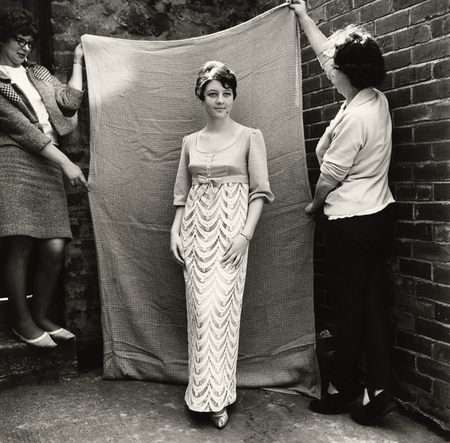 Germain also incorporates the work of another photojournalist, Tommy Harris, a local whom in addition to holding a full-time job at the steelworks, was responsible for photographing the surrounding community for local newpapers in the 1950s and 60s. Harris’s use of a square format camera would mean including details that would later be cropped. 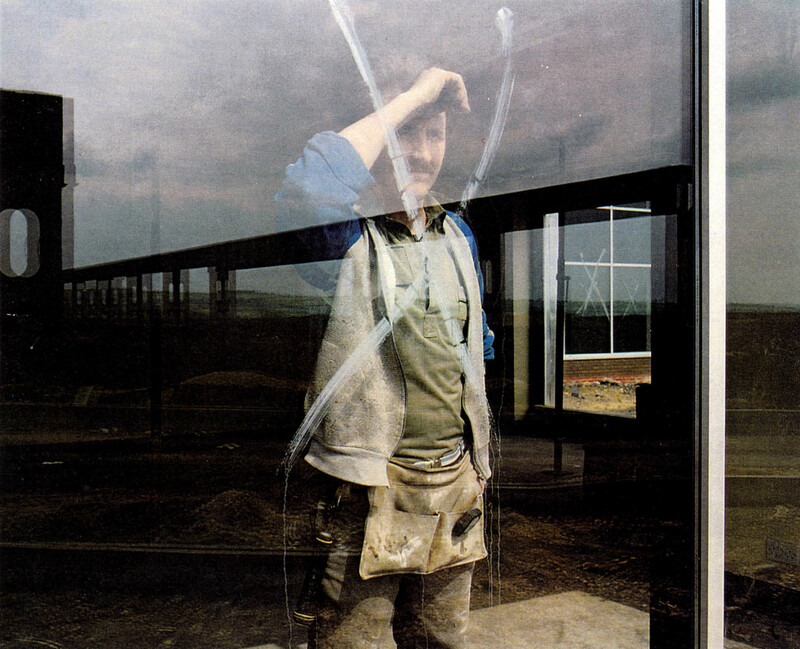 Yet, ‘it is these chance elements in Tommy’s uncropped photographs that make his work so revealing’ (quoted from exhibition text). In the image above , a solitary hand in the upper left hand corner grasps the union workers banner echoing the central motif of solidarity. How do you define a community? The community of Consett has been defined and re-defined throughout its history…changing beyond recognition. The steelworks have been completely dismantled…what identity are people forming for themselves in the new Consett and how do they regard the past? Without the intention of doing so, Germain thus gave birth to a photographic practice that could be labelled ‘postmodern visual history writing’. Its essence resides in the fact that no one voice can be authoritative: history is by its nature the product of multiple voices and of recombining records from different moments in time. Or, as Frits Gierstberg recognized in Perspektief No. 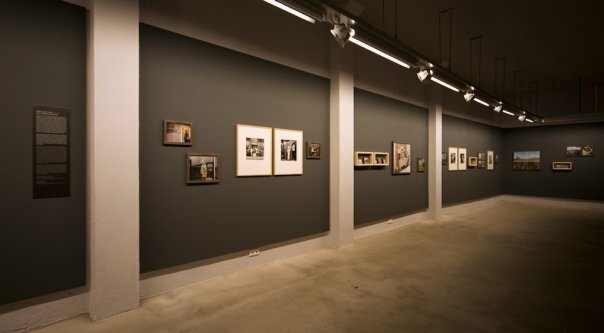 41 in 1991: “By juxtaposing different types of photography Germain brings up for discussion their separate claims to authenticity and historical reality within the presentation itself”. As Ireland turns further into its Decade of Commemorations, Limerick City Gallery of Art presents STRIKE!, an exhibition exploring industrial disputes and workers resistance including the occurrence of Limerick’s extraordinary SOVIET, with material from Limerick City Museum, exploring the strike protest that existed in Limerick and ‘excited world attention’ in April 1919. The Head Quarters Project calls on members of the community to contribute to a collective unearthing of buried memory of Limerick’s Soviet. 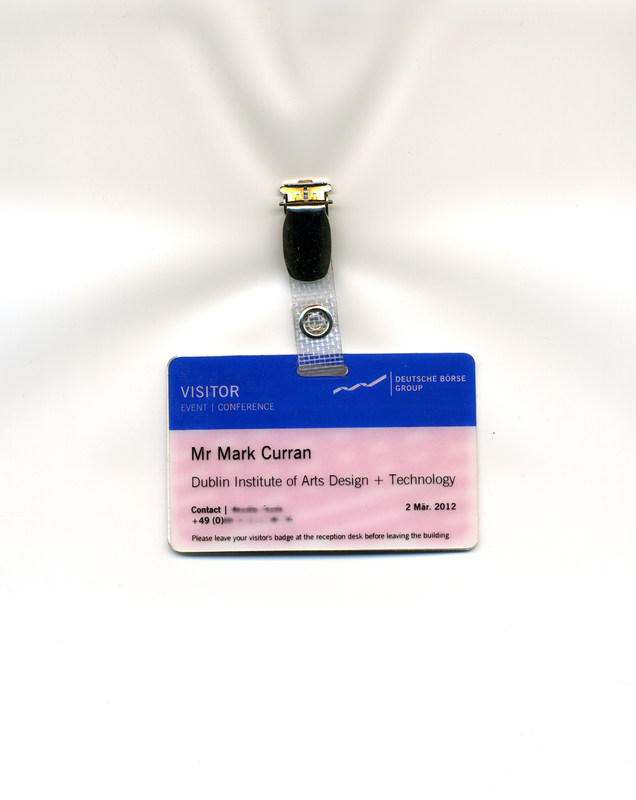 These explorations begin LCGA’s year-long presentation of the notions of Labour and Work in today’s world, with exhibitions throughout the year, drawing from the centenary of Dublin’s 1913 Lockout. It is, at the very least poignant, that this exhibition opens as workers from HMV concluded a sit-in for their rights and entitlements as workers, with many others realising the instability and problematic nature of working in Ireland and Europe today. Sonntag is a social sculpture that invites artists to collaborate and share their work in a domestic space. The project is realized on a monthly basis by way of a public invitation to a Sunday matinee where the invited artist‘s favorite cake and coffee/tea is shared with the audience. This project was started in September 2012 by Adrian Schiesser and April Gertler. *The event will feature work in progress from the project, THE MARKET. Update images of the event can now be found here. Having entered the centenary year of the Dublin Lockout, the words belong to the curator of this project, Helen Carey (Director, Limerick City Gallery of Art), and formed part of Helen’s presentation as part of a panel discussion held last October at the Arts Office of the Dublin City Council, The LAB. In the context of the exhibition, Digging the Monto, facilitated by Thomas Kador, the panel critically addressed the question of how to commemorate the 1913 Dublin Lockout, the 1916 Rising and the Treaty? 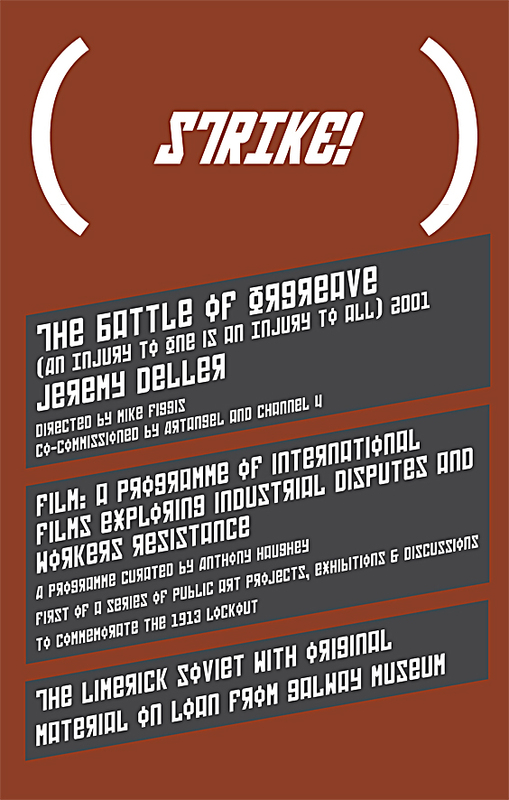 Thematically, Helen addressed the role of memory, the relationship between power and the construction of history and with such awareness, what is the role of contemporary visual art practice to mark this pivotal moment in Irish labour history with critical significance for the globalised present and the possibilities for a re-imagined future. Now available online, the presentations begin with Helen and are followed by Mary Muldowney (Oral Historian, Trinity College Dublin), Padraig Yeates (Lockout Historian & Writer),Roisin Higgins (Historian, Boston College), Pat Cooke (School of Art History & Cultural Policy, University College Dublin) and is chaired by Charles Duggan (Dublin City Council). You are currently viewing the archives for January, 2013 at THEMARKET.